For more than 50 years, the MPC team has helped families and businesses across the southern United States create financial independence. Just as we’ve done with so many other clients, we’re ready to implement invaluable strategies that address your dreams and goals. There is a reason you are reading this right now: you may have a financial desire for yourself, your family or business. 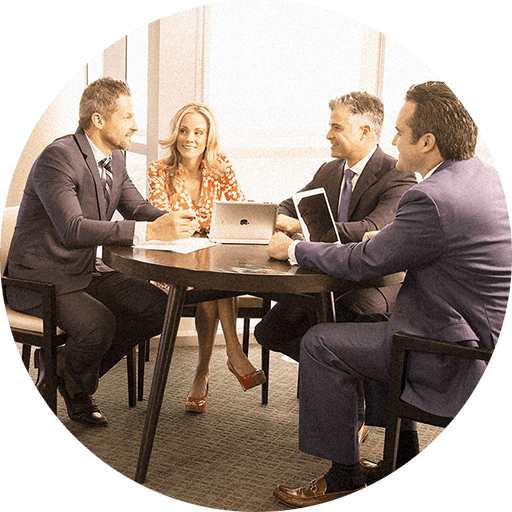 Our mission is to provide personalized, innovative financial strategies that seek to help you realize those desires and take you from where you are to where you want to be. But how are we any different than the countless other financial firms you could work with? Let’s take a look. We are independent. When you come to us for your planning needs, you can be confident that we will be objective in our recommendations and honest in our advice. We are not beholden to other financial institutions — any service or strategies we implement are chosen because they are the most suitable for you, not because they are the only choice. We leverage powerful resources to put you on the path to your goals and to help address what’s most important to you. Every day, our clients depend on us to leverage our experience, strategies and relationships to make sure they are heading in the right direction. We seek to help build client wealth by taking advantage of large-scale resources, including our affiliation with `Independent Financial Partners, one of the largest registered independent investment advisory firm in Florida with over $40 billion in retirement plan assets and $10 billion in wealth advisory assets. We embrace a personalized approach. Our team is passionate about getting to know you as an individual — you are not just another client. You deserve solutions that are just as unique as you are.